Savoring summer, that was our mission at Momtrends. We cut way back on office hours this summer to let families have flexibility. When we did gather for meetings, we tried to have an element of fun. On Wednesdays we planned outings like this one to Tipsy Scoop for grown-up boozy ice cream. 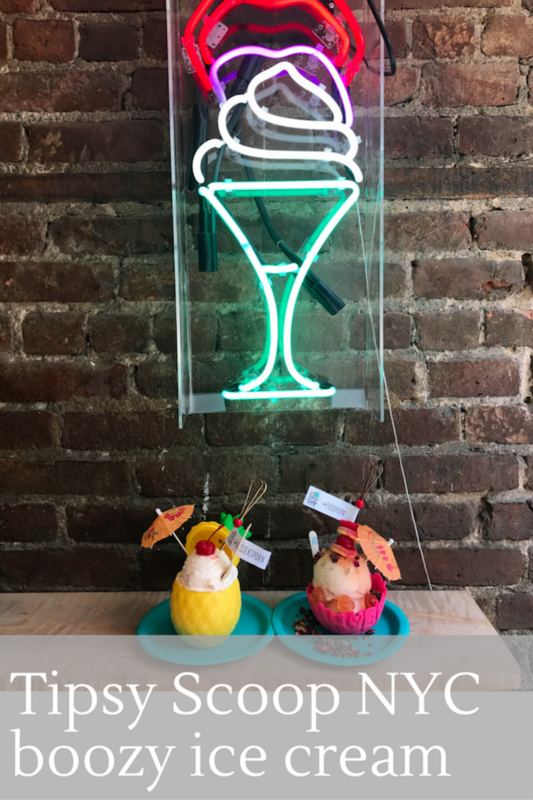 Tipsy Scoop offers liquor-infused ice cream with fun flavors that are all inspired by classic and contemporary cocktails. The shop is adorable and super small, and EVERYONE is taking photos. My advice is go before 6! It&apos;s a trendy spot and the lines do form. Why all the fuss? The ice cream is yummy and inventive. It&apos;s all lovingly made with local and seasonal ingredients and is definitely something to share with a friend. We ordered two different flavors, the rosé and the mai tai. They are super sweet and delish and a little too much for one person to finish. For this fun outing, I put on a Talbots summery top. 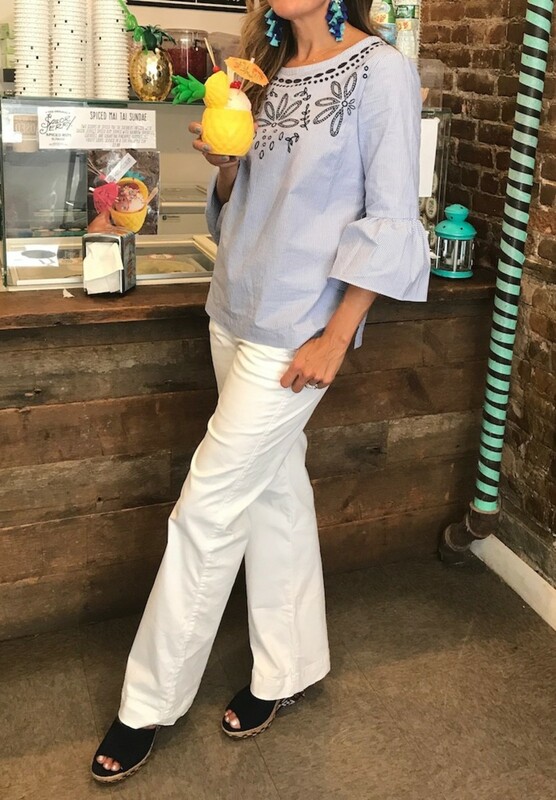 The Embroidered Striped Top from Talbots goes great with denim and is a piece that can definitely transition into fall. With warner weather I&apos;m wearing it with my white jeans from cabi and my cabi wedges. For accessories, I have on colorful Bauble Bar tassel earrings and that&apos;s about it. I opt for a single statement piece, especially when I am wearing embroidered or embellished tops. 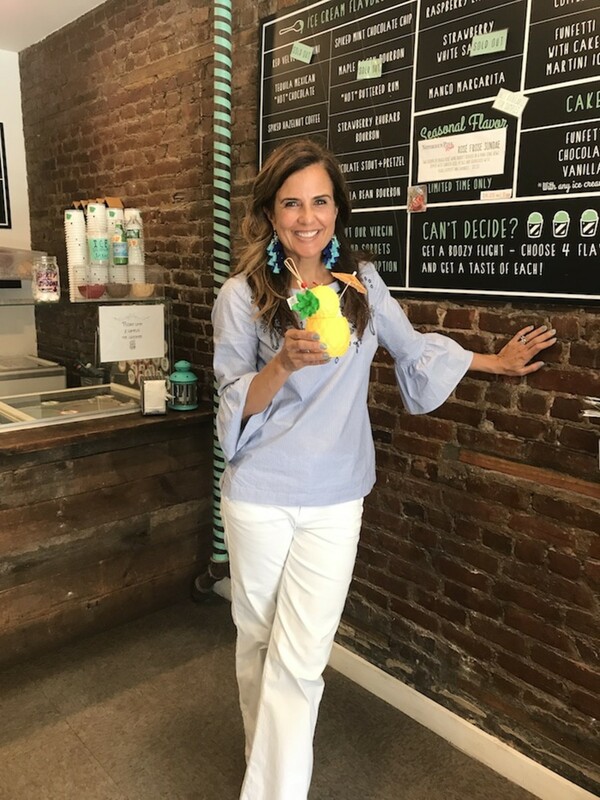 It&apos;s a professional outfit that is also playful - I went from doing some on-air work right out for after-work ice cream and didn&apos;t have to change. This summer has been all about exploring and our "Summer Wednesdays" have been awesome. Next summer we are 100% going to repeat this idea and I encourage other companies to do the same. You&apos;ve simply got to celebrate the seasons to build loyalty at your company. 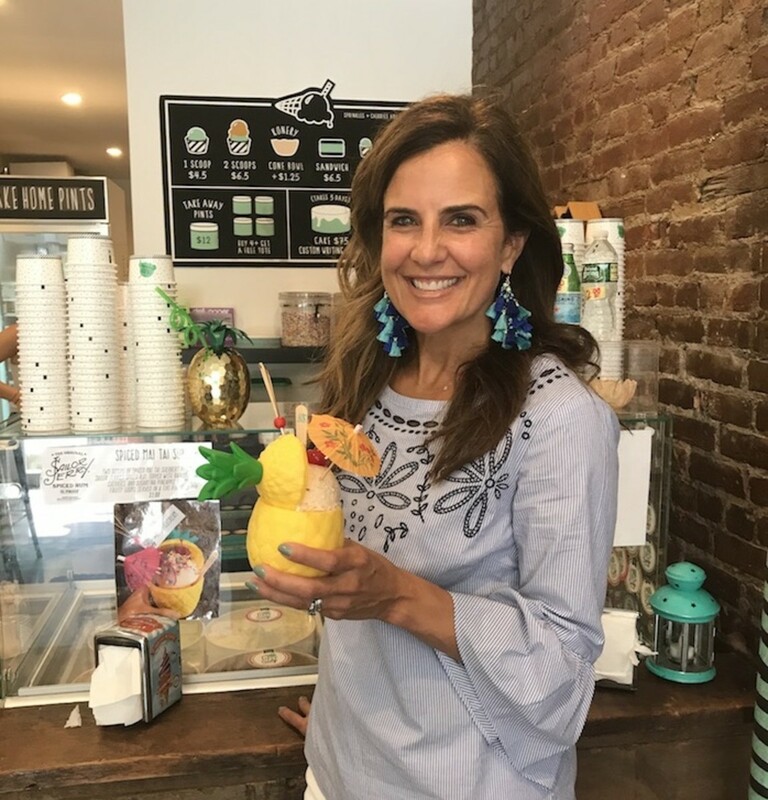 If you want more of my favorite spots to grab a bit in NYC, some of my other favorite places in NYC include Two Hands Cafe and Ancolie.